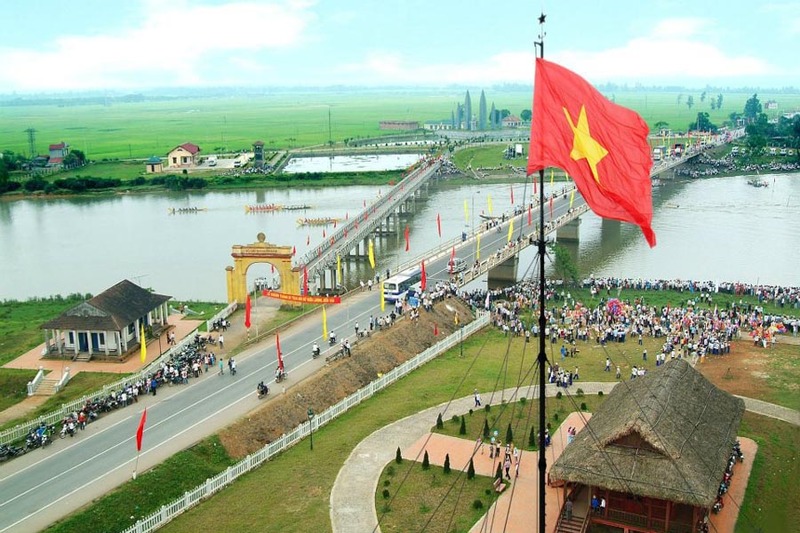 To start up the tour, in early morning, we will come at 5:00 o’clock to pick you up at the hotel and transfer to pier then we will start hoi an sunrise eco tour. Fowwing Thu Bon river, we will start taking boat trip towards Cua Dai esctuary. Surprisingly, when you are sitting on a boat, you leisurely watch blazing sun rising up on Cua Dai beach. So, it will be a great moment for you to take beautiful pictures and receive first sunlight of the day. Then along the way, on two banks of Thu Bon river are water coconut jungle and people’s houses and you can realize how peaceful the area is! Some little canals cut in the middle of the coconut forest creating some pretty snaking waterways. 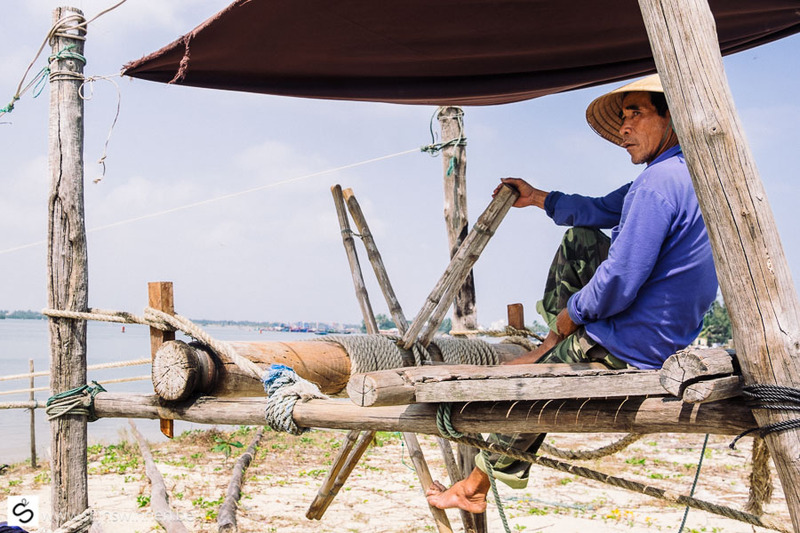 Sometimes, you will see local fishermen lifting up traditional fishing nests or traps that they drop in yesterday. Although how hard their job is but you always find their smiling face with warm hearted soul. Moreover, fishermen can show you what they catch and you can understand and sympathize with their hardness. Next, the boat will continue taking us towards Cua Dai estuary. 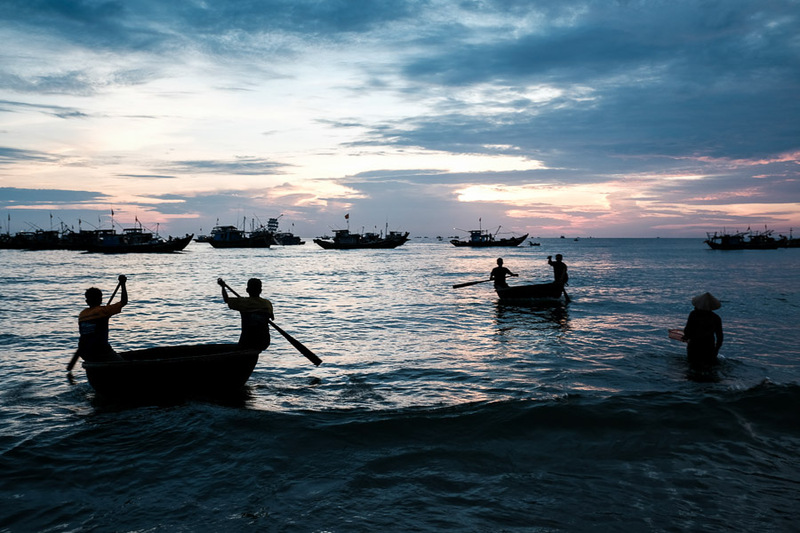 As the sun rises, all fishing boats are returning home after a long night in the sea. On their boats, it is a full load of fishes such as sardin, flounder, snapper, whale, tuna, selachium, codfish, herring, grouper, pomfret. 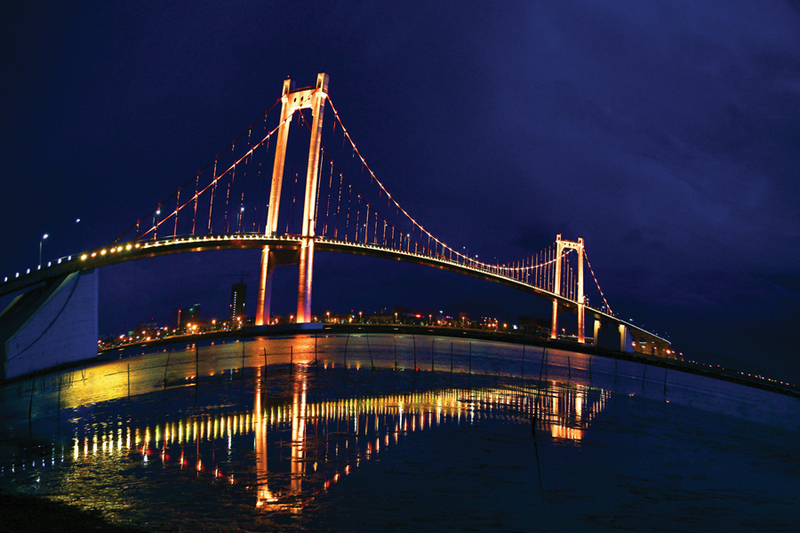 So, we can take some pictures and then we are heading to Duy Hai fish market. On arrival at Duy Hai fish market, you can stroll around and see how busy the market is! Also, you can have a talk with local people to know more about their daily life! At the market, some talking and smiling seems to beat up their sweety faces. The Duy Hai fish market is open everyday and many fish merchants usually come to buy and load to their big trucks for transporting around the country. 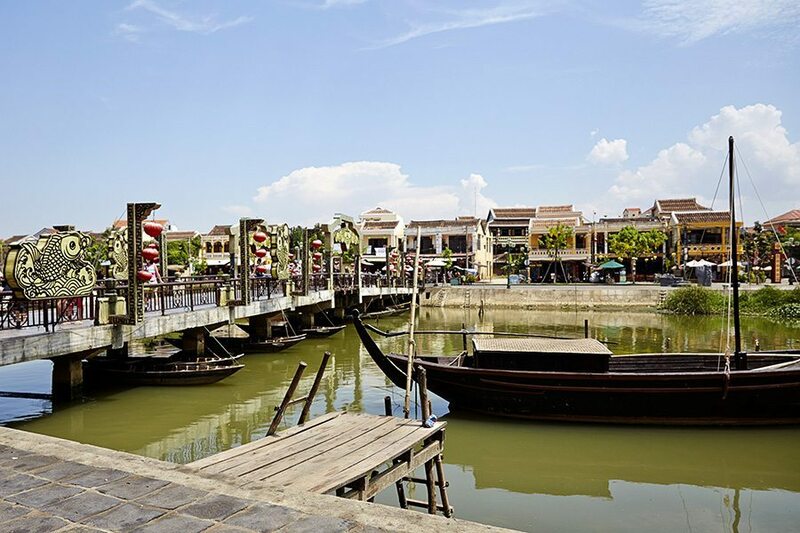 Finally, when we finish the fish market, it is our time to take you back to the dock in Hoi An. 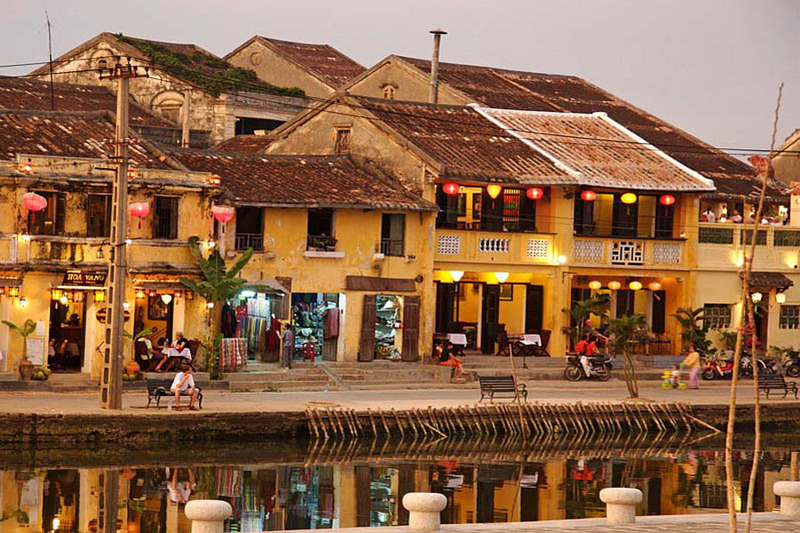 From here, our guide and driver will take you back to the hotel and hoi an sunrise eco tour will come to an end here. 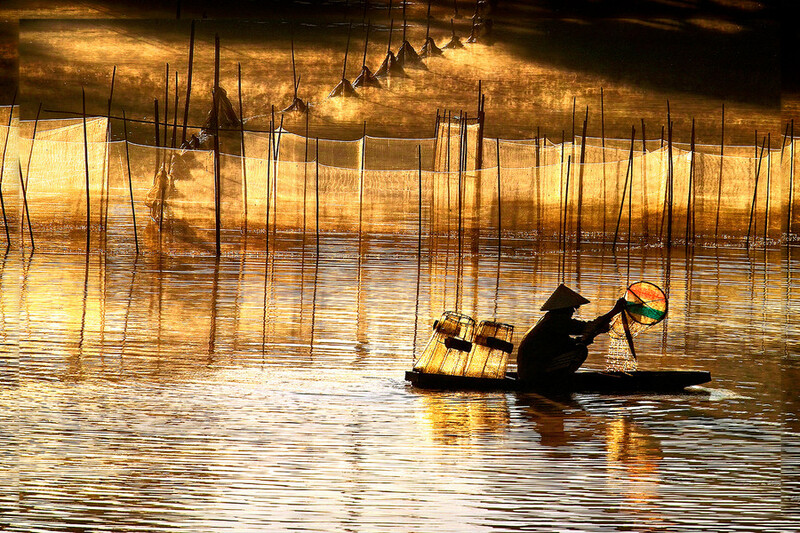 How interesting is Hoi An Sunrise Eco Tour? 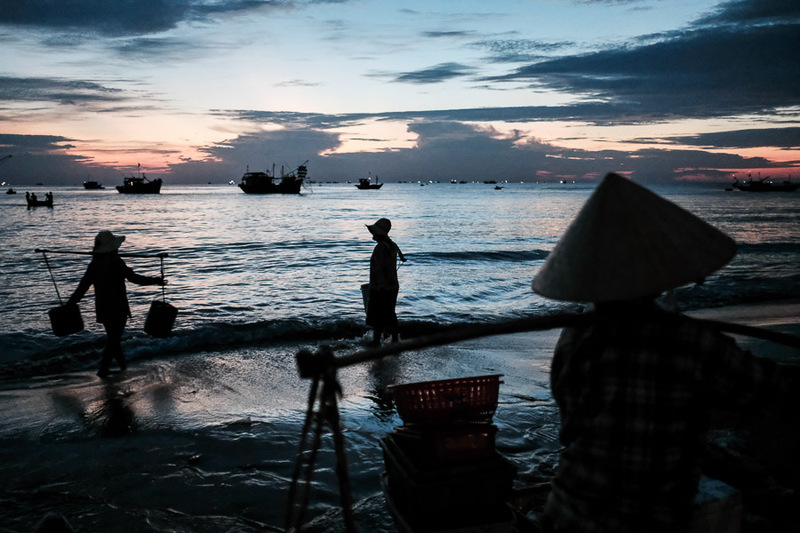 The tour helps visitor discover fishing life of Hoi An fishermen in early morning. 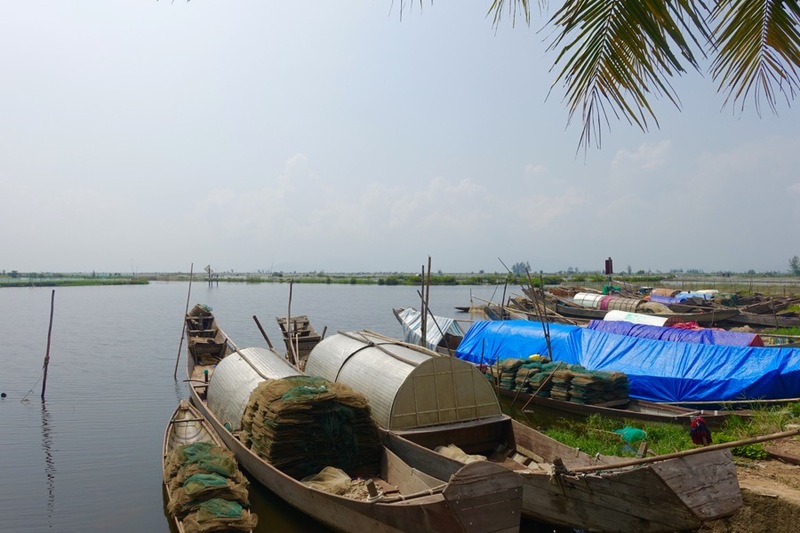 Also, taking boat cruise along Thu Bon river in Hoi an, watching people picking up their fishing nets is an enjoyable experience. 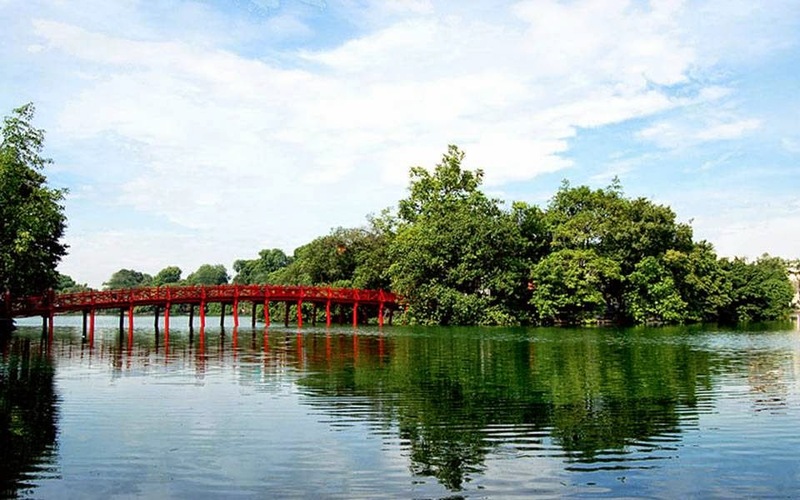 And a visit to Duy Hai fish market is another memory that you will never forget. 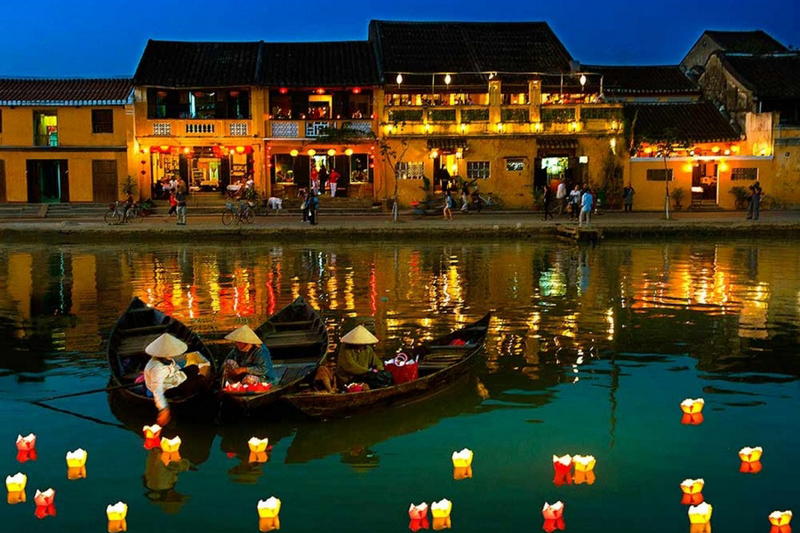 The price includes picking up and dropping off in Hoi An’s areas. 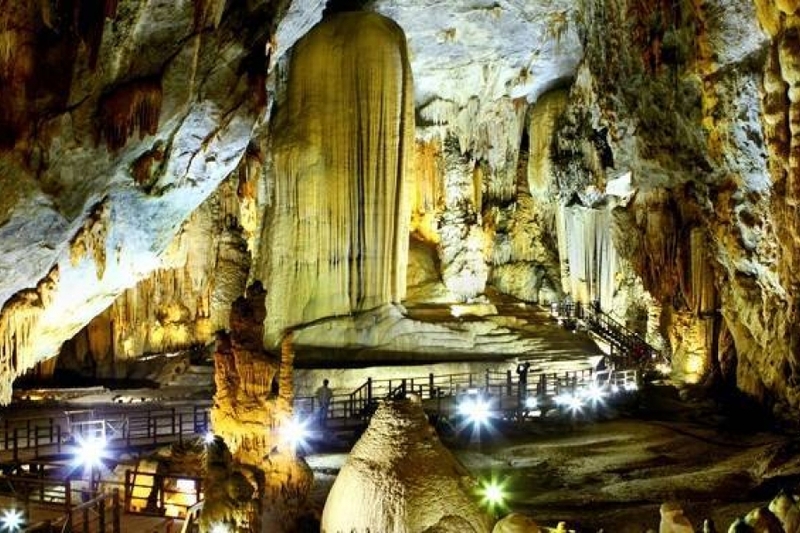 If you prefer pick up and drop off from Da Nang, then the tour price will be changed. 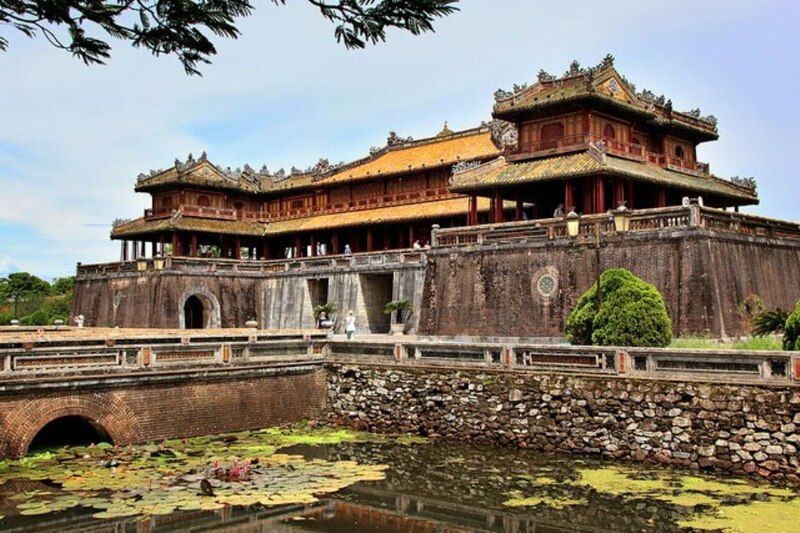 How to book Hoi An Sunrise Eco Tour?